At Alberta Honda, we are here to serve our customers and help them find and maintain their dream vehicle. As the first Honda dealership in Alberta, we are proud to be one of the leading Honda dealerships in the Edmonton, Sherwood Park, Leduc and Fort Saskatchewan areas.. Come to us if you’re looking for your next vehicle in north Edmonton at 9525 – 127 Ave.
Apart from selling vehicles, our team is passionate about leaving a positive impact on the community, that’s why we’ve created our own Stollery Children’s Hospital Foundation to support and help raise funds for the children’s hospital. Welcome to Alberta Honda, we are proud to serve our customers and our community. We have a unique selection of vehicles at Alberta Honda. We are the dealership to come to if you are looking for new, used or certified pre-owned Honda vehicles. We also carry vehicles from all makes and models in our used inventory, so browse our online inventory or stop by our store if you’re looking for non Honda options. Our sales experts are always happy to help you find the perfect dream vehicle. For those on a tight budget, we also have a special selection of vehicles under $15,000 for you to choose from. We have many resources that will guide you through making the right decision and choosing which vehicle is best for you. Our build and price tool will help you configure your dream vehicle with all the features and safety technologies you are looking for. Our model reviews and comparisons will also help you learn more about our vehicles, such as the classic Civic, the stylish Accord and the comfortable CR-V.
Our parts department at Alberta Honda is where you will find the necessary parts and accessories to enhance the performance and look of your vehicle. There is no need to come in store if you know the parts or accessories you are looking for, you can simply order online. Our parts experts can also help you find the exact parts your vehicle needs. Our tire wizard selection tool will help you find the perfect tires you need for your vehicle. At Alberta Honda, we have a huge inventory of tires, air filters, control modules and more. Just name it and we will find it for you, even if we don’t have it in store. We can also help you install a remote starter on your vehicle, whether you want a 1 or 2 way starter. Come to Alberta Honda to get your vehicle outfitted for the road! Deciding on where to purchase your new Honda or used vehicle in Edmonton is a big decision and one that requires a well thought out game plan. We understand your concerns here at Alberta Honda and are always ready to help anyway we can. 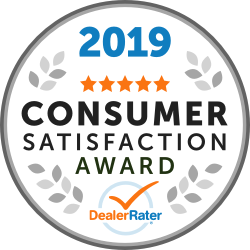 Our personal commitment is and will always be to make sure your new or used car shopping experience is one that is tailored to your needs, no matter what. At the end of the day it’s all about your experience. To get started in finding your perfect new Honda or used car in Edmonton today, browse our inventory online. When you are ready for a test drive or to see us in person, we are located at 9525 – 127 Ave, Edmonton, AB and can be contacted by phone at (780) 474-8595.